DEERFIELD, IL—Citing its commitment to health and wellness, Walgreens announced Thursday that it would institute a ban on selling cigarettes, alcohol, soda, candy, processed food, all chemicals, pointy objects and any other product that has been proven to cause harm to its customers. A team lead by Mark Wagner, President of Operations and Community Management, reportedly went line by line through the pharmaceutical company’s inventory, cross checking items with accredited research on negative side effects, health risks, and other various consumer hazards. Any items with a demonstrated damaging impact on humans were eliminated. Sources confirmed that the team then went down each aisle and took notes on which products could cause harm to customers if they chose to consume them. They eliminated snack foods high in sodium and saturated fats due to their positive correlation with heart disease and removed anything with caffeine as scientists have demonstrated its lasting influence on sleep deprivation and heart arrhythmia. Next, the team moved to the pharmaceutical section and cut all NSAID’s due to their impact on liver function and decided to dump all cold medicine because of its influence on driving and using heavy machinery. Reports verified that the entire greeting card section was removed due to paper cuts and risk of infection. Based on the committee’s findings, thousands of SKUs were banned due to their potential harmful effects on consumers including Drano, Wonder Bread, Pantene Pro V Shampoo & Conditioner, Reese’s Butter Cups, Solo Cups, Cover Girl Nail Polish, Tresseme Hair Spray, Kraft American Singles, Oreos, Double Stuff Oreos, Mint Oreos, Blonde Oreos, B Complex Vitamins, Artificial Tears, Metamucil, Dr. Scholl’s Shoe Liner, Durex Condoms, Mach 3 Razors, Mach 5 Razors, Mach 5 Fusion Refill Cartridges, 5-Hour Energy, Good & Delish Colossal Cashews Roasted, Back to Nature Golden Honey Oat Graham Crackers, Jack Link’s Beef Jerky Original, Walgreens Wart Remover Gel, Chips Ahoy, Trojan Vibrations Intense Pleasure Vibrating Rings, Carmex, Blistex, Duracell AAA Batteries, Energizer AA Batteries, Rinse Ace Microfiber Towel Extra Large, Purina Friskies Salmon Dinner Classic, Body Fortress Triple Strength L- Carntine 1500, and Chiquita Bananas. The American Medical Association released a statement that American consumers are now at less risk for cancer, diabetes, heart disease, stroke, thyroid dysfunction, kidney failure, high blood pressure, diverticulosis, gum disease, depression, paranoia, and hypertension because Walgreens took its products off the shelves. 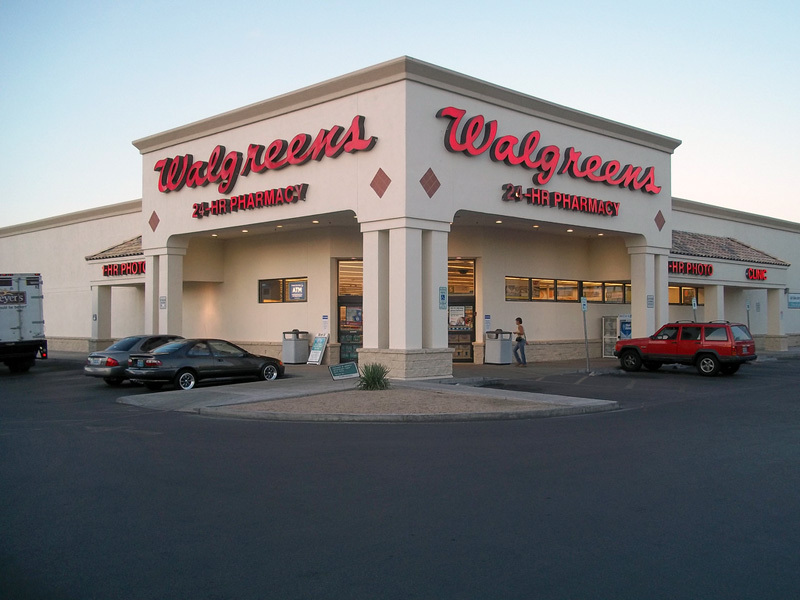 For Walgreens, this move will be costly. Based on initial reports, the elimination of merchandise that could kill or harm customers is expected to reduce revenues by approximately 99.7%. Market analysts forecast that it could bring the company’s share price from its current level of $60.72 to near $0.04. this blog’s content everyday along with a cup of coffee. Thanks so much for reading! Get that coffee and stay tuned for more!